Are currently unemployed or have a small business and you want to know how you can continue your SSS contribution even if you are not working? 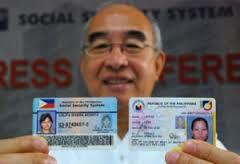 Yes you can now do that with a few simple guides I am going to reveal here as tips for those who are looking forward to pay their monthly member contribution to the Social Security System agency in the Philippines. First off, allow me to enlighten you of your choices for continuing what you have started with your remittance even if it has been left delinquent for a couple of months or years. If you are currently employed or if you have work again, it is pretty easy to continue with paying your monthly dues to the SSS. All you have to do is to ask your company to deduct your salary and pay your remittance. This will automatically reactivate your stagnant SSS account. On initial knowledge, if you are not employed and you can afford to pay so you still want to continue with your contribution, you have 2 options. One is to be declare yourself or make a change of status from employed to either self-paying (voluntary paying member) or self-employed. Take note though that there is a difference between the two. As per my last inquiry to the Social Security Administration, if you declare yourself to be self-employed, you should either have your own small business. On the other hand, if you are going to declare or change your status to self-paying which means you will be paying your dues via voluntary status, there are still a few things and facts to consider. As a voluntary member, you have to know that there are remittance payment brackets with which you will have to choose depending upon your capacity to pay in terms of the amount of money you are willing or could be able to produce on a monthly basis for payment of your member contribution. Here, you have to be sure to know the amount you can afford because after having it set with the SSS branch near you, there is no turning back. You have to consider though that if your goal with reactivating a delinquent account or stagnant account is to make a big loan later on or to have a bigger monthly pension as a senior citizen of the Philippines, you have to realize that the rule is – “the bigger the monthly contribution you pay to the SSS, the higher your loanable amount will be and the higher the monthly pension you are going to get later on when you reach retirement age of 60 years old. With this in mind, I hope that most of you will understand the reason why lately, the Philippine government saw light in taxing the remittance of some SSS members who tend to pay really big amounts of money especially if they are to reach retirement age sooner. This entry was posted in Remittance and Contribution and tagged contribution reactivation, how to reactivate account, self employed, self paying, senior citizen, sss contribution, sss loan secrets, sss pension secrets, voluntary contribution. Bookmark the permalink. Good morning po! Ask ko lang, pano po young mega contribution ko sa SSS? Nag tsek po kasi ako sa online ang lumabas… No Contribuition? Pwede nyo po kaya puntahan itong company: Modomo Veterinary Practice and Trading. Good day, ask ko lang po kasi nag second loan po ako last march 2014 and the last deduction for my first loan was on October, 2013 based on my payslip deducted by my employer. During filing of my 2nd loan, i found out na hindi p daw naipost or naipaid ng company yung last hulog. Then i askmy employer at venerify nila sa SSS at sabi nila ung SSS daw ang may problem kc matagal daw naipost. So that time kc sinabi ng taga SSS na ibabawas nalang daw doon sa bayarin ko sa loan yung huling hulog ng company ko. So ask ko lang po paano po nila ikakaltas yun sakin gayong ngayon same amount parin yung nakalagay sa payslip ko na idededuct ng SSS sakin. Sino po dapat kong kausapin. SalMat po. Ask ko lng po about sa pension ng father ko….tumatanggap na po sya ng pension. Ask ko lng po kung bkit wlang dumating na pera sa atm nya sa month mg oct.2014 kc kda ebry 15th of the month dumadating ang pera. Goodmorning po mam sir ofw po q d2 s Taiwan nkpgloan po q nung 2011 at d q po yun nbayaran s loob ng 3 taon ndi din po q nkkpaghulog s contribution q. Ano po gagawin q. Gusto q po ulit ituloy ung s sss q.
i would to inform that my sss id is not active what thats its mean? i already pay my loan and i have a receipt to show. i would like to continue paying my monthly contribution selfvoluntary contribution. pls.response naman po,thanks and godbless. gusto ko po sanang ,ituloy ang pagbayad sa sss ko as voluntary,meron napo akong sss no. noon at gusto kopo na ituloy ito pro ang pinuproblema ko kung paanu ako makakabayad ,kasi kung iopen ko sss ko kailngan panang rs5 kung anu ito kya ndi ko mabuksan ag sss accountk,e yungresibo nasa parents ko,ewan kung saan nil nilagy,paanu ako makakabayad ,dto po ko sa south korea,gusto ko snang magbaya tru metrobank korea to sss.gov.ph,panu po ako makakabayad at kung magkanu ang babyran ko bawat buwan,at saan ko makikita ang amount bracket na kaya kong bayaran.salaat po. Hi I forgot my sss Id no I need it cos I want to continue my contribution…. Gusto ko pong ituloy ang paghuhulog ng aking SSS dati po akong self employed at ngayon ay may small Business ako. paano po ba ang unang kung gagawin para ma reactivate ko ang paghuhulog ko ng SSS ko . gud morning sir,gusto k lng pong itanong about sa sss ng asawa k dti po kc kaming mgwowork s mga company d2 sa Pampanga s clarck kya lng po nagsara ang mga company aming pinapasukan naisipan po naming mangibang bansa pro ngayun po ako nandito n sa pinas nais ko po sanang ipagpatuloy ang sss ng asawa ko,pwedi ko po bang gawin yun na ako n asawa nya gusto po kc nmin pa activate ulit pra maipagpatuloy naming ang mga nauna nming hulog,,ano po ang dapat kng gawin,,,,maraming salamat po!